LUXURMAN Medallions: This stylish Solid 14K Gold Real Diamond Lions Head Pendant Charm weighs approximately 15 grams and showcases great 3d detailed lions head decorated with full 1 carat of sparkling round cut genuine diamonds masterfully pave set into highly polished gold finish. 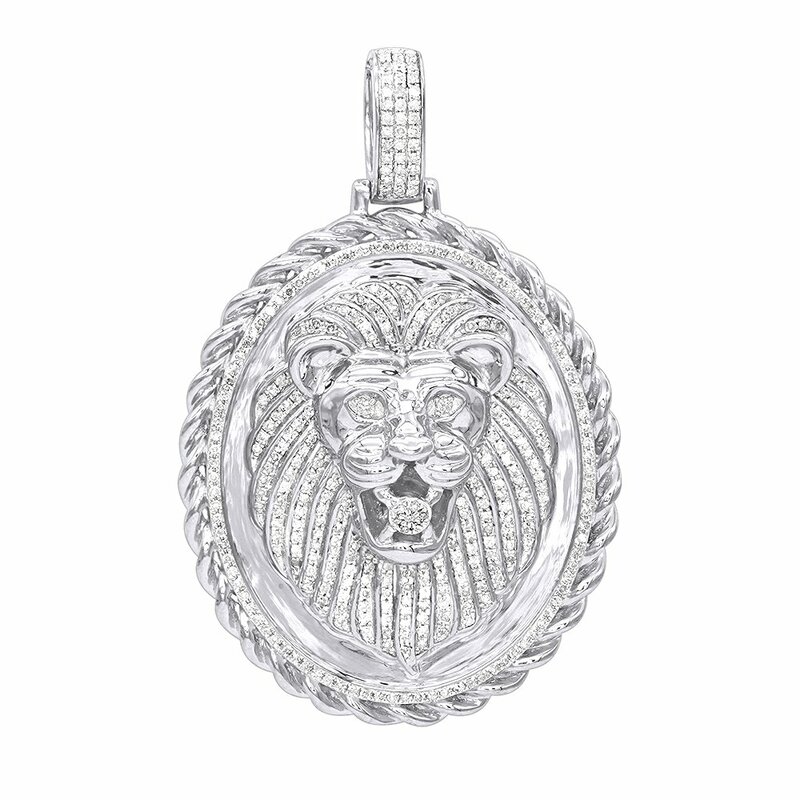 This luxurious diamond pendant has a very unique and detailed design of a lions head. This beautiful lion head diamond pendant is available in 14K yellow gold, white gold and pink gold.